A charter in Corsica and Sardinia promises turquoise Mediterranean waters, small pristine islands, charming mountainside villages, and endless golden-sand beaches. And while the islands are only a few miles apart, their personalities are distinct and diverse. Corsica is the smaller of the two islands, and although it’s a region of France, its close proximity to Italy offers a unique fusion of the two cultures and styles. A single chain of mountains makes up two-thirds of the island, providing hikers with excellent trails and rugged landscapes to explore. 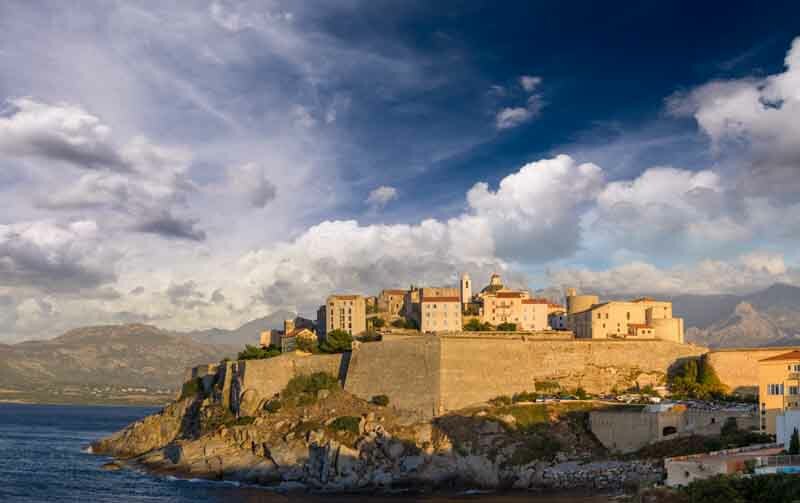 From snorkelling and sunbathing, to visiting historical sites and sampling local delicacies, holidays in Corsica offer a wealth of choices. 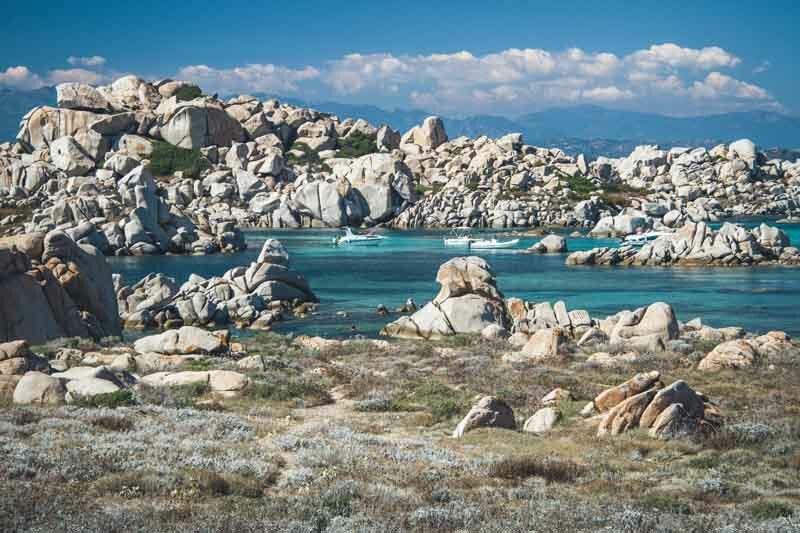 At the southern end that borders Sardinia, you’ll find the La Maddalena archipelago, a majestic maze of small islets and coves, known as one of the best cruising grounds in the entire Mediterranean. Making a stop at this oasis on the way to Sardinia is a must. Sardinia is the second-largest island in the Mediterranean and offers visitors unspoiled white-sand beaches, glistening turquoise waters, and picturesque towns steeped in history. 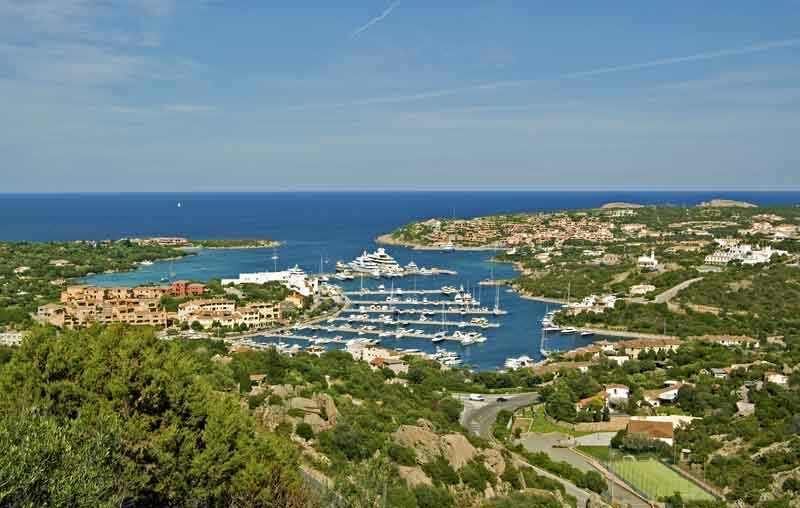 Sardinia’s ultra-exclusive Costa Smeralda yacht club is a luxurious stopover when travelling by charter, and further south, the chic Porto Cervo offers excellent sailing grounds right offshore. Land exploration is a nature lover’s paradise, with horseback riding, mountain trails, and local celebrations always taking place. 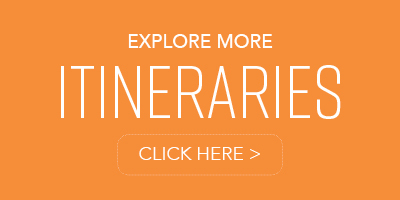 This suggested itinerary offers a way to experience best of both Corsica and Sardinia, taking in the local culture, popular attractions, and the distinctive personality they each radiate. Meet your yacht in Corsica at the charming harbor town of Porto-Vecchio. Steeped in history, the port is overlooked by an ancient fort, a perfect spot to explore before cruising to the Lavezzi Islands to the south. These uninhabited islands, located in the Strait of Bonifacio between Corsica and Sardinia, are only accessible by yacht, offering a secluded respite among granite-flanked islands. 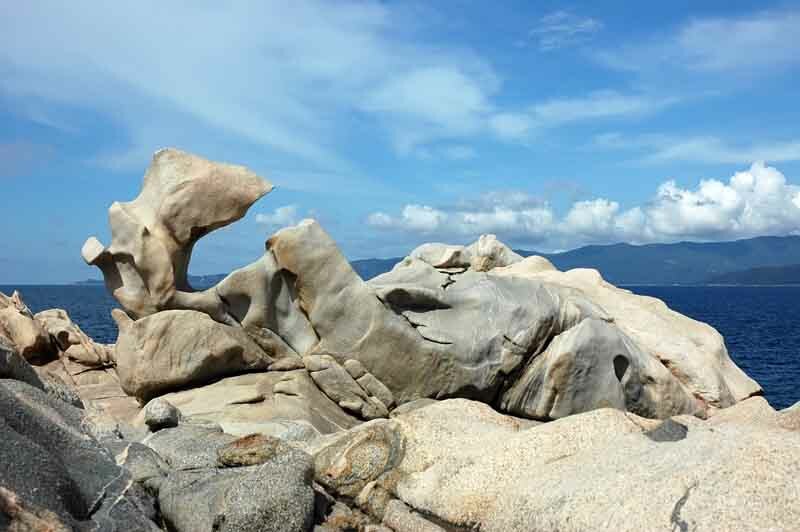 This area’s distinction as a UNESCO World Heritage Site affords exceptional diving in majestic reefs. Sip a cocktail and enjoy a delicious on-board meal prepared by your chef. 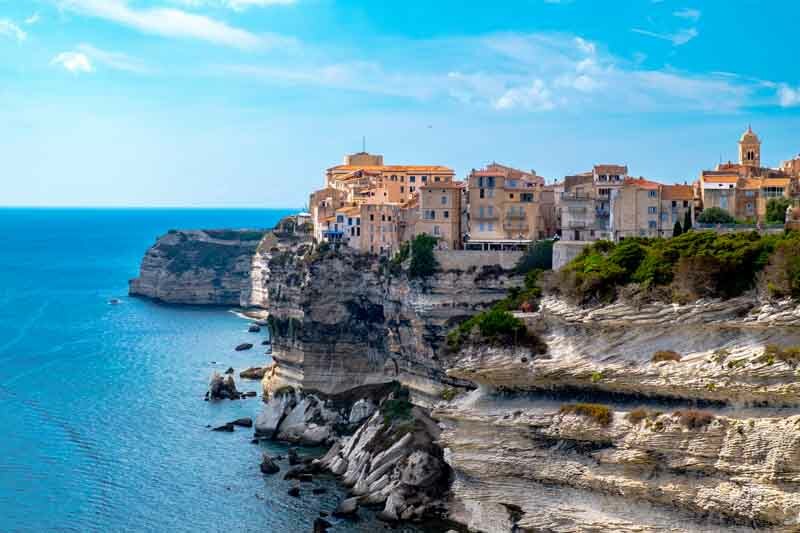 Bid farewell to these picturesque islands and cruise onward to Bonifacio, a stunning natural port that’s a must-see when traveling to Corsica. With a backdrop of cliffs and the citadel above, this ancient fortress town boasts towering views overlooking the crystalline waters. Hike through the limestone walls to the city above and stroll the narrow streets, stop at a café, and simply enjoy the panorama. Indulge in a delicious meal before returning to your haven on the water. 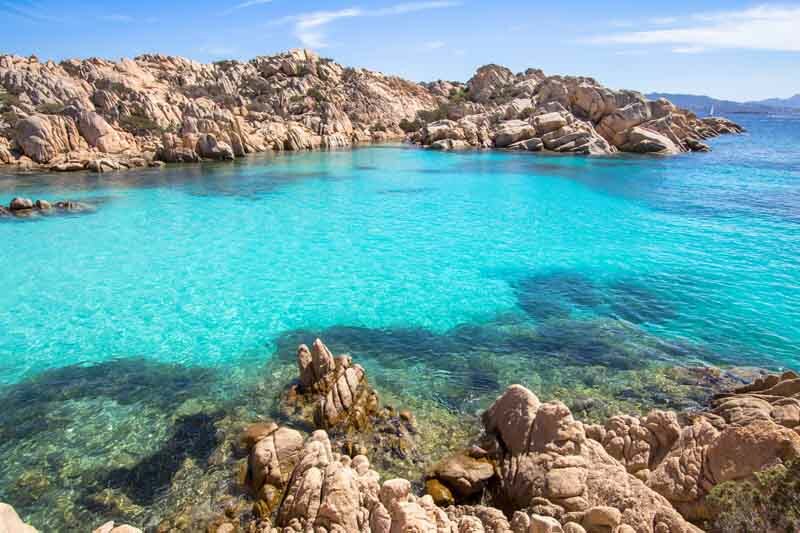 The La Maddalena archipelago, situated just off the northern coast of Sardinia, is a cluster of rocky islands surrounded by remarkably beautiful waters, clear and shimmering with a range of blue and turquoise hues. The entire area is protected as a natural park, creating a hypnotic setting with pristine pink sand beaches and steep cliffs rising from the sea. Enjoy a picnic on the beach, then venture ashore to walk the town of Cala Gavetta. 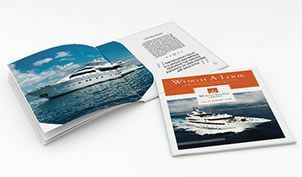 As you cruise the turquoise waters approaching Porto Cervo, lush, green rolling hills create a striking backdrop for this gorgeous marina, which attracts superyachts and jet-setters from around the globe. On land, high-end restaurants, charming boutiques, and nautical-themed shops offer a lovely excursion before returning to the comfort of your yacht. Cruise to the northern end of the main island of Sardinia, stopping at one of the many secluded harbors along the way to enjoy a swim or splash around with the water toys. 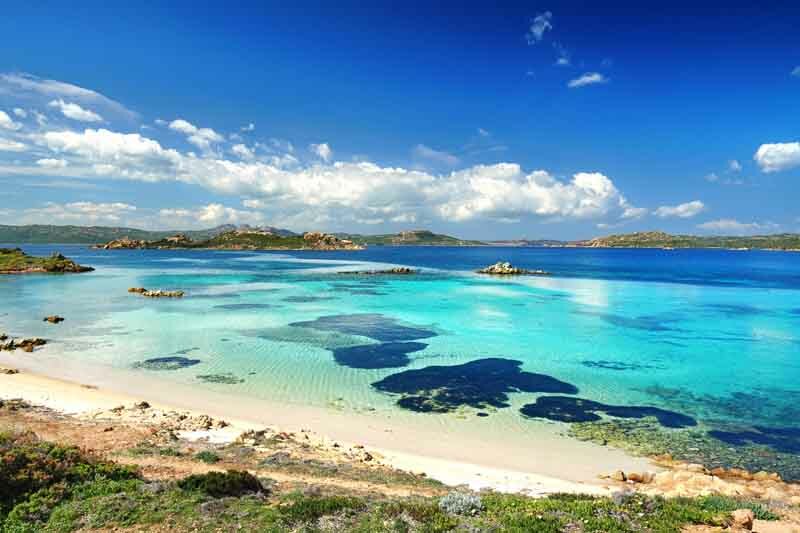 Make your way to Santa Teresa Gallura, a charming seaside town that’s home to gorgeous beaches and the impressive granite headlands of Capo Testa. On shore, walk the streets and sample the local fare, and be sure to choose a bottle of wine to enjoy on the deck of your yacht. After absorbing all that Sardinia has to offer, cruise north to Campomoro, a small and serene coastal resort with beautiful beach, clear water, and mountains in the background. Take the trail that winds itself along sandy coves and rock formations, leading to the Genovese watchtower, an absolute must-see for those in search of solitude. 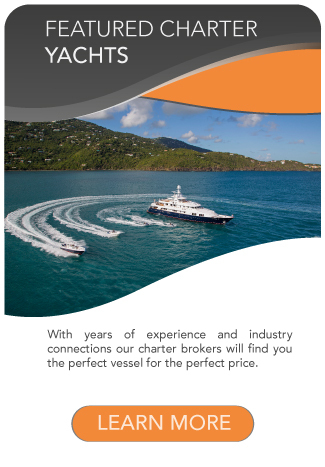 Return to your yacht for more time with the water toys, or unwind with a drink on deck as your chef prepares a meal of your choosing. As your journey comes to an end, you’ll return to where it all began in Porto-Vecchio, Corsica. 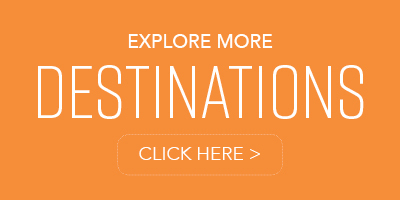 Head into town for another meal and some last-minute souvenir shopping before your return home from this dream vacation.